I love banana bread. And I love chocolate chip banana bread even more. This recipe takes hardly any time to whip up and only an hour to bake. This banana bread is seriously perfect! 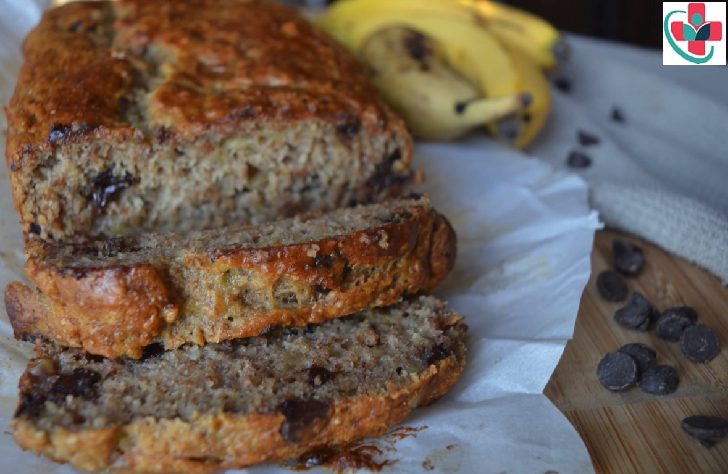 The result is a chocolatey, fluffy, chewy banana bread And – it’s vegan! Enjoy! Mix mashed bananas, vanilla and melted coconut oil together in a bowl. Stir well. In a separate bowl, mix flour, sugar, baking powder and baking soda. Stir well t combine. Add the dry ingredients to the wet ingredients and mix to combine. Pour into a parchment paper-lined loaf pan and bake at 350°F for 60 minutes or until browned and cracked on top.